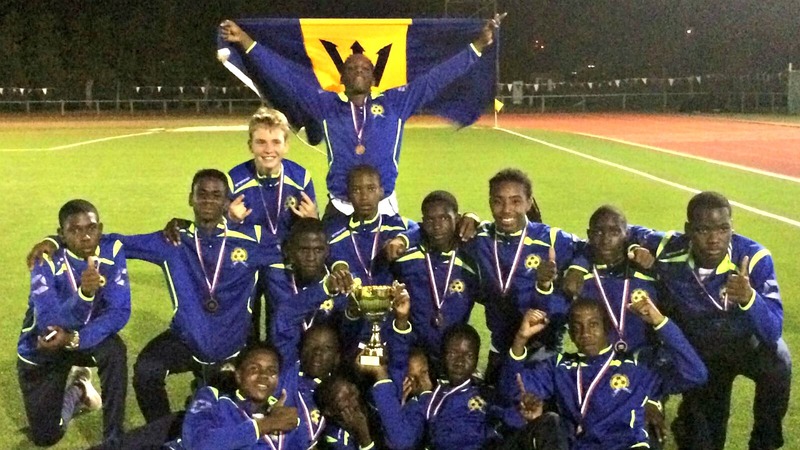 The Barbados U17 girls’ football team. 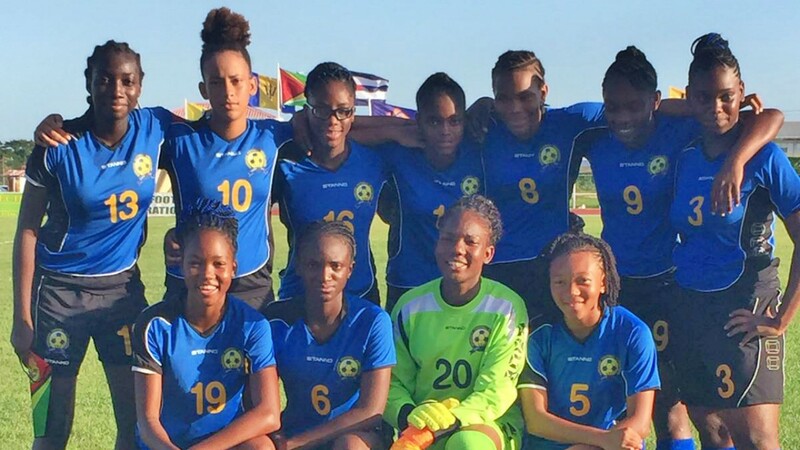 The Barbados U17 girls’ football team narrowly missed out on qualification for the Caribbean Football Union (CFU) U17 World Cup Qualifiers Final Round. 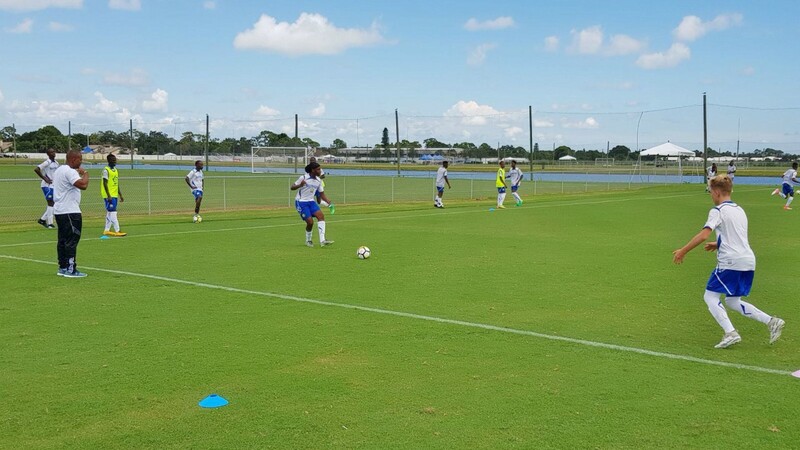 After an impressive opener in their First Round encounter versus host Guyana where they won 5-1, the young Bajan “Belles” drew 0-0 with a very technical and competitive Cuban unit. In the match versus Guyana, Barbados found themselves behind early, when Guyanese midfielder Tiandi Smith scored in the 12th minute. Skillful forward Caitlin Padmore drew things level for the visitors in the 16th minute, before Smith turned the ball into her own net four minutes later to give Barbados a 2-1 lead going into the break. Two fantastic free-kicks from captain Tia Briggs-Thompson in the 49th and 70th minute, sandwich Tianna Sealy’s contribution in the 51st minute. 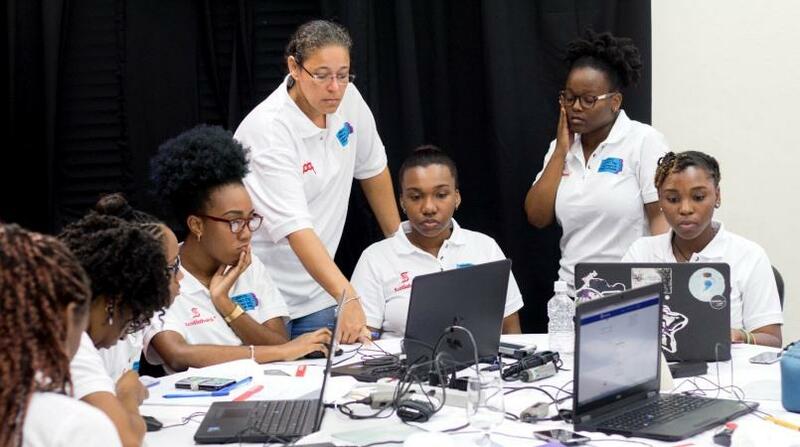 Despite being unbeaten in the three-team competition, the “Belles” were made to settle for second position after Cuba trounced Guyana 8-0 in the final match of the series; doubling Barbados plus four goal average. Cuba will advance to the Final Round of the CFU Qualifiers in Haiti in October later this year.